Without much fanfare or fuss, maverick producer David Harrow has been dropping dubs under his OICHO guise for over a decade now. Working at a prodigious rate, some years he’s put out two releases, other years as many as five. Clearly deserving of a larger audience, for “Dub Journeys, Volume 1: OICHO”, Dubmission dug deep and cherry picked their favourite tracks from the original sessions. Some were then completely rerecorded, others slightly reworked, with all of them remastered to create the first part of a new series showcasing his work. David has a rich history in the dub world. More recently he has produced Kiwi band Salmonella Dub, but back in the 90’s he was embedded in Adrian Sherwood’s OnU world, and during that time worked on Lee “Scratch” Perry’s “From My Secret Laboratory” album as well releases by Dub Syndicate, Gary Clail and the Barmy Army. The legacy of time spent on African Head Charge’s “Songs of Praise” can be heard in percussive tracks like Arrowrooted, Sofa Kings and Battle System. As he puts it: “Percussion is the first instrument, the foundation on which we build, that has never changed. 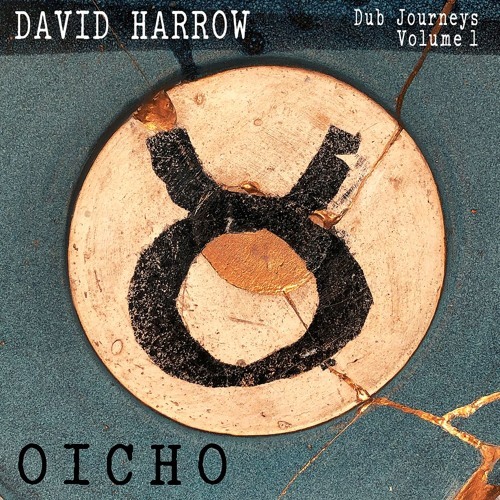 I try to take myself back to … the Nyahbinghi drum circles in Dalston.” “Dub Journeys, Volume 1: OICHO” offers a brief, bass heavy glimpse into the musical mind of David Harrow – roll on Volume 2.